Size of the Workpiece: No restrictions to the size and height of the workpiece when marking on flat surface. 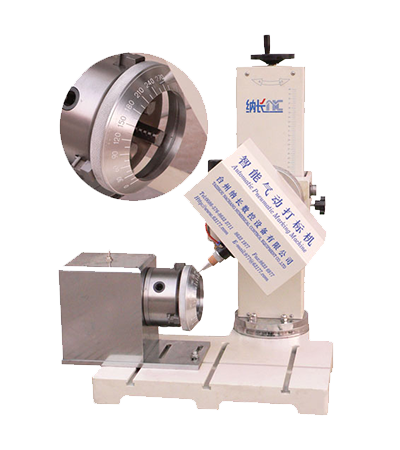 with the rotary fixture can mark on cylindrical surface,Marking on flat suface like label will change the flat fixture. Application Scope:Motor part, mechanical part, machine tool, hardware product, pump valve, steel tube, ring flange, electromechanical equipment, label(name plate), dial plate, etc.